Men and women all need a place of their own where they can go unwind and be by themselves for a bit. Over the past few years the popularity of mancaves has been growing, this is due to many awesome mancaves being seen on TV, magazines, and many other places. There is even a reality show on television that is all about mancaves that is hosted by an ex NFL player, and this just makes more men yearn for their own little private place right at their homes. Building your own mancave is not that difficult if you already have a small building in your yard that you do not use. Even if you do not have a place to make a mancave inside your home or in your yard it is fairly easy to build a small little shed type building that you can convert into your own little hideout. 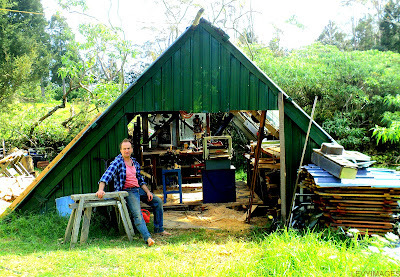 Some guys are not great at building things so there is always the option of buying a little shed and then just having it converted over so it is exactly what you want in your mancave. 1 - This is a cozy little mancave with everything a guy needs to relax and watch his favorite sports or movies. In the picture you can see a couple recliners, a TV, and beer! This is enough to make any guy disappear in the evening to unwind. 2 - The next mancave is a lot more extravagant and fancy. As you can see it is used for a home office as well as a mancave to unwind. There is also a piano so the owner is most likely enjoys music as a hobby and this mancave gives him the perfect place to practice. 3 - The third mancave on our list is a very nice and unique little getaway right in the owners backyard. As you can see it is a cozy little place and even has a loft upstairs that can be used as a bedroom for any guests the owners may have. This is the kind of mancave that is also appealing to the lady of the house because of its coziness and even a cute little fireplace. 4 - The fourth mancave is a bit more on the rustic side, and as you can see the gentleman in the picture may use it as a workshop and a camp as well as his own personal getaway. This mancave is a bit different since it appears to be more isolated than many of the others on our list. We are sure that he don't mind though because it really is a mancave that is a true escape from everything. 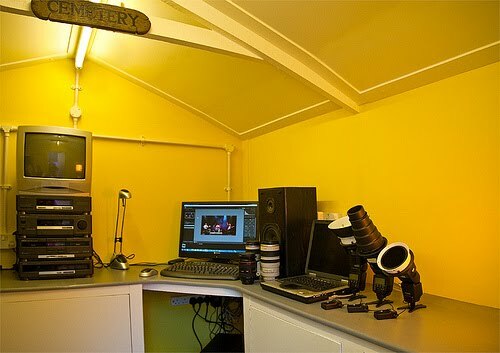 5 - The fifth mancave on the list is another one that looks like it is used as an office as well as a place to go and hide from the world. The owner has everything he needs here with his computer, a TV, and a stereo system. He also has some other interesting equipment to the right of the computer, we are not exactly sure what the equipment is but it is obviously something that is used for a hobby of his which makes the room useful to the owner for many reasons. 6 - Here is another unique mancave that was made from an old shed. This one is another that has a nice comfy look as well as some interesting contraptions. As with all of the others we have listed here this one offers a great place to hide out while relaxing to some TV or even just laying back and reading a good book. 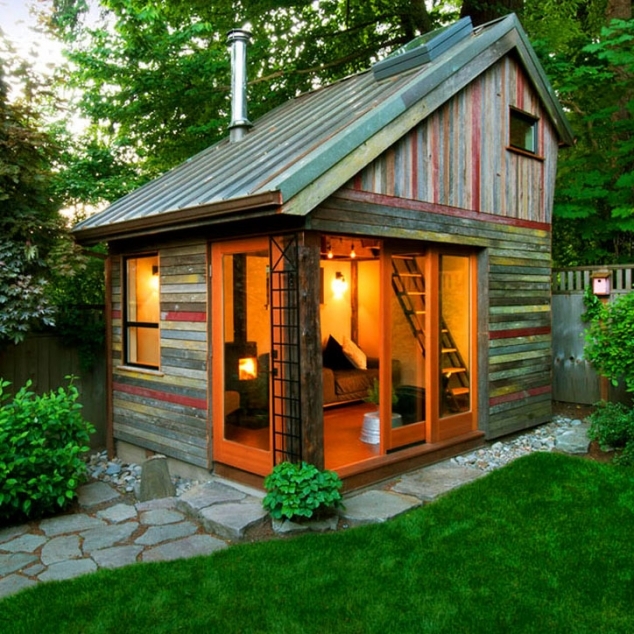 7 - Here is an awesome little shed turned mancave deep in someones backyard. It is surrounded by trees which help keep this relaxing place sheltered from the sun on these hot summer days. There is a computer in this mancave as well but by the looks of it the owner probably spends most of his time reading since there is an extensive library covering the walls. 8 - The last mancave on our list is one made into a nice little bar for the the owner and his closest buddies to unwind with a few beers. He has it set up nicely with signs you would see at most bars that display his favorite brands of beer. There is also a dartboard on the door, so the guys can shoot some darts from the lawn while they are relaxing and having a few drinks. The TV is also in a perfect location in the back so whatever they are doing they can still watch their favorite sports while hanging out.